Another night, when I just woke up and couldn’t get back to sleep at all. I was thinking about what to do and it just clicked me. Let’s listen to some music (In hope of getting some sleep :)) and I tuned into FM. Though, it turned out to be an inspiration to write a blog soo early in morning and suddenly I realize, it’s my first ever early morning post (Reason to smile :)). I started listening back-to-back bollywood songs on my favourite FM channel and the song ‘Raghupati Raghav Raja Ram‘ from movie ‘Krrish3′ was played after some time. It just hit me after few seconds that something or someone is related to this song. I was trying to remember the reason and it just brought a smile on my face. I realised, it was connecting me to Hetal, a girl who applied mehandi (Heena) on my hands in my wedding. This catchy song was her cell’s ringtone and her always smiling face and the conversations I had with her, just flashed by. I was happily mesmerised with her will power to lead and excel in her field. Hetal is an average indian woman, educated, happily married and a mother of two-year cute little girl. She used to work in ladies beauty parlour but two years back she started her own work. She doesn’t own a place to run her business at present but she is highly motivated to have it one day and I liked that a lot. I could see that satisfaction, willingness and sparkle in her eyes for the things she wants to do in her life and that made me happy. Sometimes, when she was getting late at work, she used to be sad because her only child would be alone at home and she said, “My husband has night shifts but he is very nice. He will stay at home a little extra for the baby until I go back. It’s a very good thing that he is supportive. We both are working and I want our lil girl to study as much she can and I hope she follows her own dreams”. As per me, she is a living character from Sheryl Sandberg‘s book ‘Lean In : Women, work and the will to lead‘ for the women around her. A true motivation to excel in what you do!! All the best Hetal for your dreams. 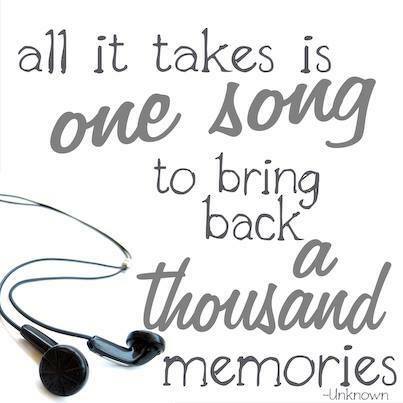 I can so relate to the idea of songs triggering memories . More vivid that even photographs ! Good to see you put sleepless nights to such splendid use ..